Write your personal message below, using the talking points on the left. Please use the following talking points to write a message in the form on the right -- it'll be sent directly to Lisa Jackson. Remember to be polite and respectful. Shell has violated the terms of its Arctic permit by failing to meet the air quality requirements specified for ships. This violation means that Shell should be refused permission to drill in the Arctic right now. As a citizen concerned about the demise of the Arctic and the threat of climate change, I urge you to fully revoke Shell's Arctic drilling permit. 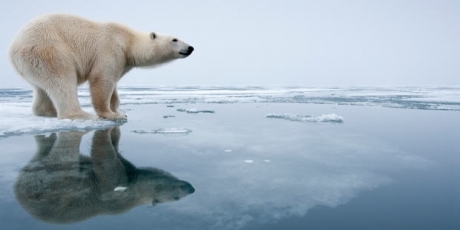 The Arctic is one of the world's last untouched environments. It is a global treasure that should be protected for future generations to enjoy not opened up for oil companies to make more profits and further destroy our planet. People around the world are looking to the US to stop the charge for Arctic drilling. If you revoke Shell's permit it will send a clear message that the US is serious about preservation and the future of the planet. If you fail to revoke Shell's permit it will state clearly that the US puts polluters profits before people and our planet. The biggest company in the world is days away from drilling for oil in the Arctic, a breeding ground for whales and polar bears. The US Environmental Protection Agency can stop them, but it’s up to us to demand they do and save the Arctic now. The head of the Environmental Protection Agency Lisa Jackson, can right now withdraw Shell's Arctic permit because the company is unable to meet air pollution controls for their ships, violating the terms of the permit. Environmental activists are raising the alarm, but unless we make it a huge global scandal, Shell will use its muscle and the Arctic will be open for the oil business. Lisa Jackson has stood up to the energy industry before, but Shell is a Goliath that won’t be easily knocked back. We are running out of time -- let’s make this decision the line in the sand that protects this great wilderness from becoming an oil field.